Over a five-year period we accomplished a lot at Verve, one of the world’s best-known jazz record labels. A merger of parent companies, Universal Music Group and Polygram, required building a new website with an immense artist roster featuring Diana Krall, George Benson, Pat Metheny, Herbie Hancock, John Coltrane, Wayne Shorter, John Scofield and many others. During this time we collaborated with Florentine Films and Sony Music to produce Ken Burns Jazz, one of the biggest projects in jazz history. 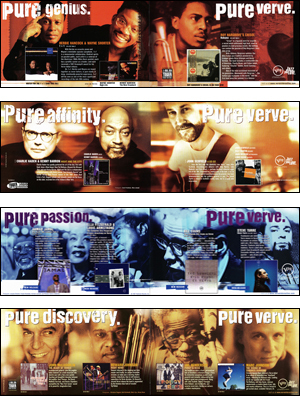 The “Pure Verve” ad campaign was devised to promote as many as four titles per month, while creating a bold and consistent brand image. 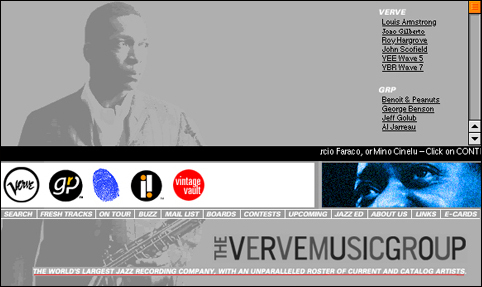 This was one of many factors contributing to Verve’s success as the #1 jazz label of the day. 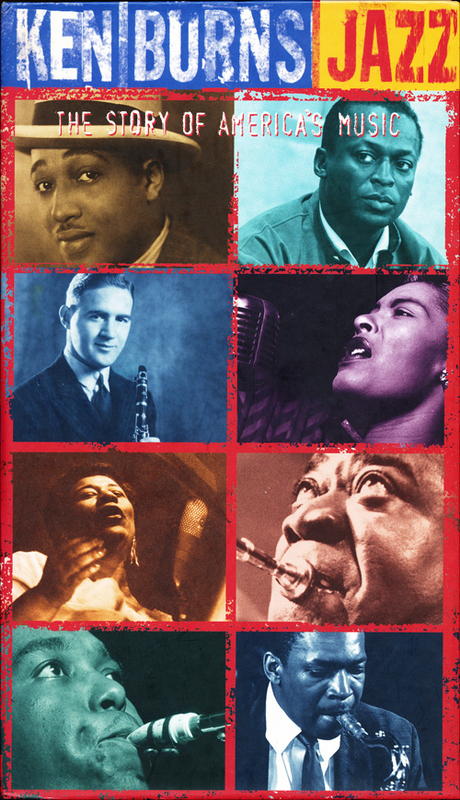 We coordinated Verve participation in the historic Ken Burns Jazz project, a joint venture with Sony Music featuring a glorious 5-CD box set and 22 individual album releases. More than a million units were sold. After a corporate merger we constructed a massive website to become a new home for four legendary record labels: Verve, GRP, Impulse! and Blue Thumb. Artists and releases were featured with text, audio and video, a breakthrough approach for its time.